What makes you unique and valuable in an executive marketplace? 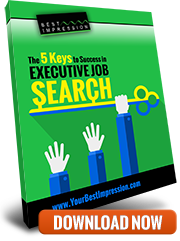 That’s what we’ll uncover, clarify, and express in the marketing materials you need to manage your job search and advance your career: your executive resume, LinkedIn profile, executive bio, networking communications, interview messages, and more. "Frankly, I didn't think I'd need any help with my resume, but when I saw what you did with it, I was amazed... and totally convinced."